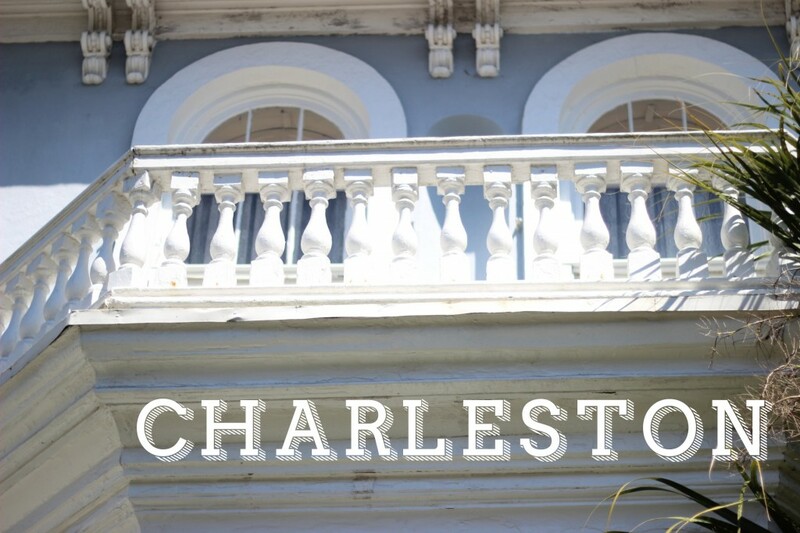 Before we returned to Knoxville, we decided to make a swing through Charleston for a very special visit to Husk Restaurant. Through @knoxfoodie, we had been in contact for some time with General Manager Dan Latimer and he suggested we make time if we could. Now we are HUGH Sean Brock fans. 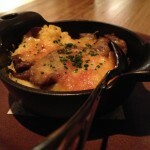 Chef Brock takes Southern Appalacian and Coastal dishes and elevates them to a fine dining category. One of his missions is to bring back long-forgotten dishes and ingredients. In fact, this year, because of reading about Benne Seed (the precursor to Sesame Seed), we grew some of our own that we got from Dr David Shields (more on that in a later post). Anyway, big fans. We got going pretty early. I had a bad reaction to some scallops on our last night in Savannah, so I was up all night anyway. 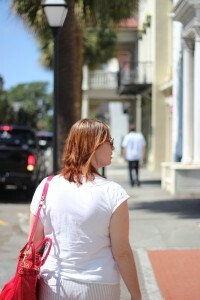 We had some time to explore beautiful Charleston. M’s first visit. It’s always such a cool place to visit. Everywhere you point a camera, you get a terrific shot. First stop was the Martin Gallery to see our friend Don’s photography. 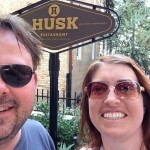 Then we needed to do recon… find Husk! Well, that was easy enough. 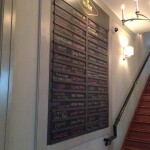 Once we arrived at Husk we saw the all-important food source board that lists the farms that their ingredients come from. As soon as we sat down, we noticed the menu looked a little different. At the top was written ‘CONGRATULATIONS!’ and our outstanding server, Tanya greeted us and immediately behind her was the manager for the night, Jennifer with two classes of sparkling cider! Are you kidding me?! Every manager or server that walked by congratulated us on our marriage. This was SO cool! Celebrity-status for one evening 🙂 We even got a tweet from Dan apologizing for not being there and hoping we were having a great experience. Oh yes we were Dan! 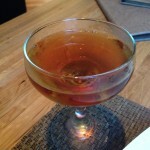 I started off with a Barrel-Aged Manhattan which was served up in a very retro (meaning small but perfectly sized) glass. This is traditional. The classic, enriched with new American Oak. Our seasonal take on the Manhattan with bourbon, rye whisky, and flavored bitters. Barrel aged for 30 days. I’m not a fan of super-sweet, so sometimes Manhattans aren’t my favorite. But this one had just the right amount of sweetness. M had a Summah, Dhania: Slow it down and stretch it out. Jalapeno macerated tequila, Aperol, cilantro simple syrup, fire roasted orange juice. Let me tell ya, there’s a lot going on in this drink, but everything melds perfectly. 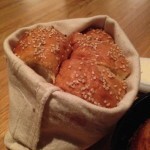 For apps, we ordered cornbread (with Alan Benton’s famous bacon in it). 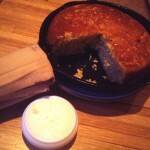 This was dangerously close to what my mom’s cornbread tasted like. 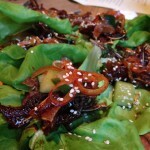 Then we had Crispy Pig’s Ear Lettuce Wraps. Now if you go… you MUST have these. If you have nothing else in Charleston, get these! The ears are boiled for hours, cooled and dried, then thinly sliced and deep-fried before being doused in a teriaki-like sauce and served with fermented cucumbers and peppers and topped with toasted Benne. Then they bring over these amazing complimentary Benne rolls. By this point, we are already on our way to being full! NOOOO!!! Must get through this and try it ALL!! Our cocktail glasses emptied, we ordered a bottle of Domaine St Vincent from New Mexico (everything lists it’s source here remember), one of two sparkling selections on the wine list. We ordered dinner, electing to not add any sides (read on!). 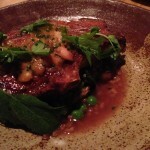 So I had a Heritage Pork Chop, Anson Mills Farro with sweet peas and Spicy Mustards, Boiled Peanut-Pickled Peach Vinaigrette. I mighty offering for a mere $30. 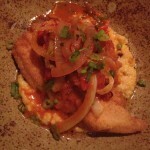 M had Cornmeal Dusted NC Catfish with Creamed Corn Grits, Fried Cabbage and Peperonata, Espelette. Tanya tried to talk us into sides but we decided against it just because we had indulged so much. 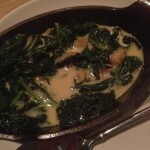 As our main courses arrived, servers started bringing over sides and sitting them down “for us to try.” What? But we didn’t order these. Then Tanya came over and said, “I hope you don’t mind the complimentary sides, but we’d love for you to try them.” What? Are you serious? They brought us all their sides for us to try! These guys know how to make someone feel special. Amazing! We absolutely COULD NOT handle dessert. We begged her not to make us as we had just had the best meal of our lives! 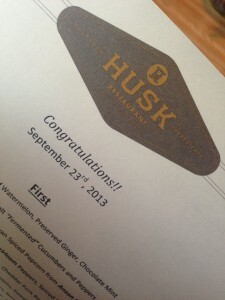 And she reluctantly agreed that Husk has won the battle tonight! We’re gardeners and on each table was a jar with dried beans or peas and dried Okra. We asked Tanya if we could swipe some and she said, of course! So for years to come, we can grow beans and okra that were from our first (but not last) outing to Husk. Lucky for us, we parked about a 1/2 mile away and were able to relieve some of our misery (but misery of the best kind!) by the long walk in perfect weather. Almost as soon as we got to the hotel, we had to nibble on the leftovers because we couldn’t keep them overnight. What a perfect ending to our destination wedding. But Stay Tuned! Wedding Week isn’t over. Part 3 Coming Soon!! Supporting local farmers, artisans, restaurants. We'll let you know when we publish a new post! 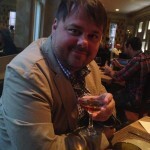 We are the award-winning Knoxville, Tennessee based food journalist team of Mandee and Eric. 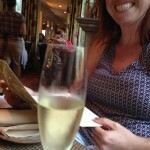 Our blog and social media presence is for those who love to eat and travel with their taste buds! We develop recipes, cocktails, and show you around via delicious food. Come along with us on our journey!